Blend is comprised of a special variety of winter peas and a unique variety of fall rye. These unique varieties grow extremely fast (can be 6″ tall in only 10 days) and stay green all fall and winter. 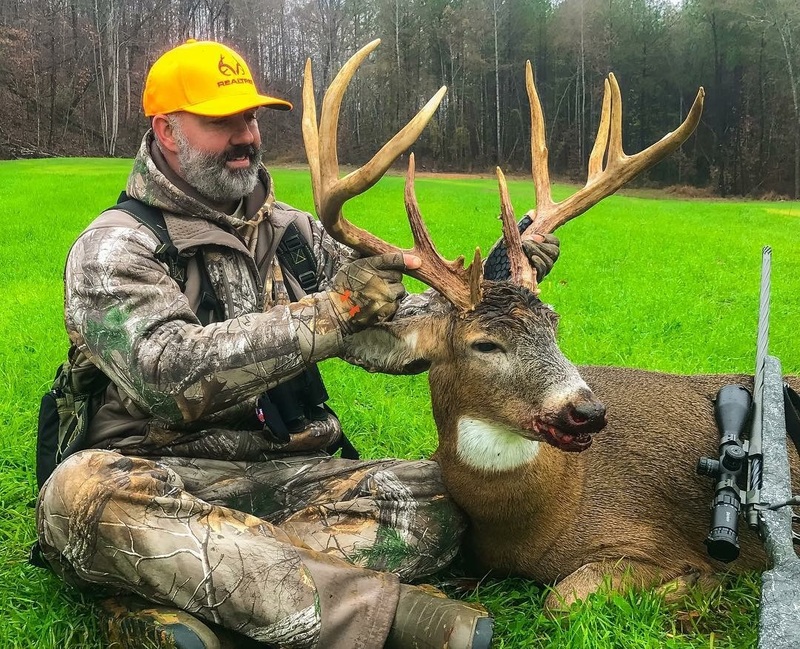 If you are an avid hunter and are looking for an unbelievable hunt plot, this is it!! FALL/WINTER/SPRING Blend is comprised of a special variety of winter peas and a unique variety of fall rye. These unique varieties grow extremely fast (can be 6″ tall in only 10 days) and stay green all fall and winter. 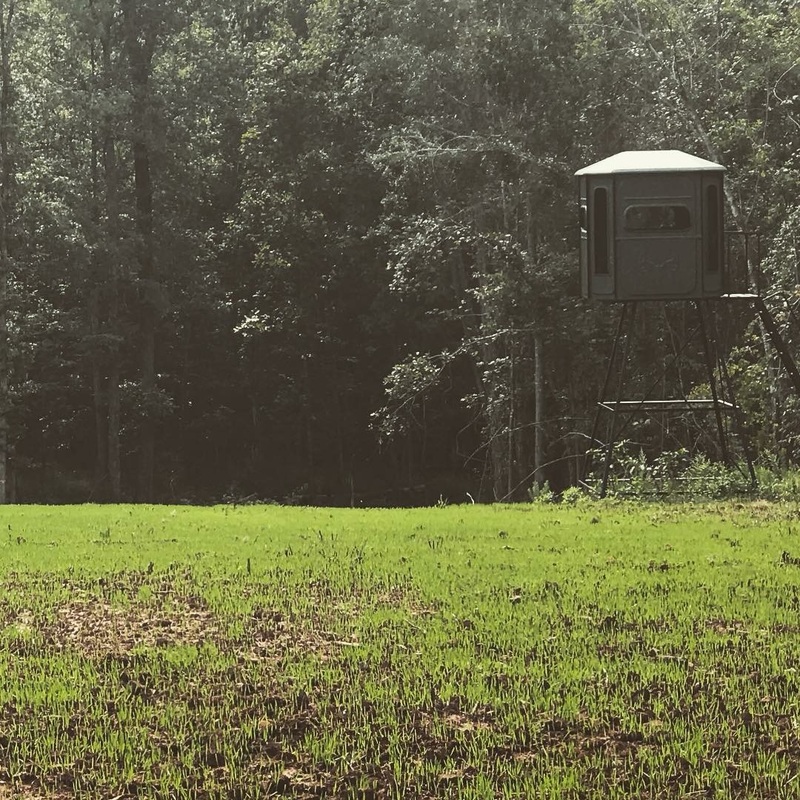 If you are an avid hunter and are looking for an unbelievable hunt plot, this is it!! WHY FALL/WINTER/SPRING? While other plants like oats or clover die or become dormant during the winter, FALL/WINTER/SPRING Blend will continue to grow and be in excess of 20% protein during this time period. Fall/Winter/Spring is unique in that it grows extremely fast, stays green all winter long and can provide a highly nutritious, palatable and digestible diet that can sustain intense graze pressure all Fall and Winter. 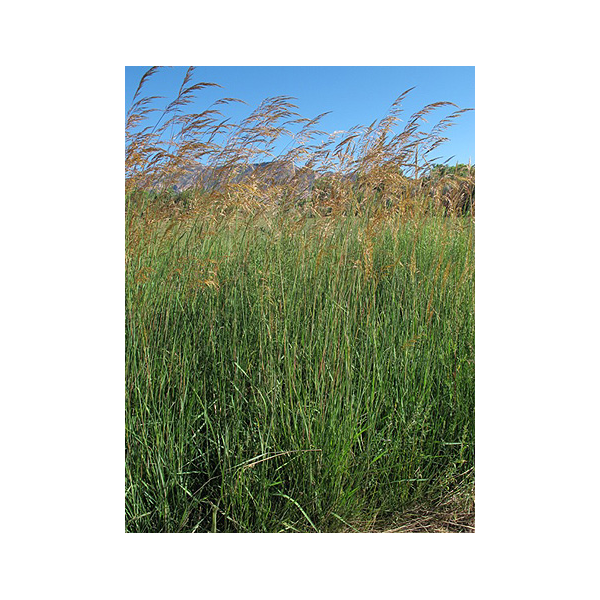 The special variety of Fall Rye (cereal Rye) is a cool season plant that stays green and palatable all Winter long. 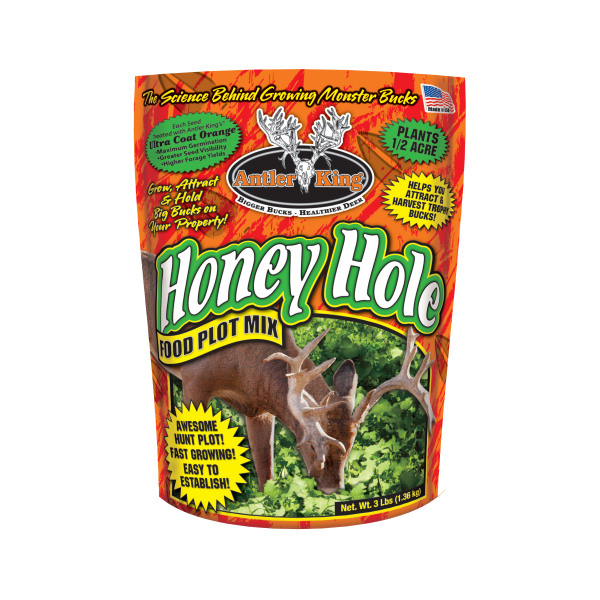 It is easy to plant and can withstand less than ideal soil conditions and still grow well and be extremely attractive to your deer herd. 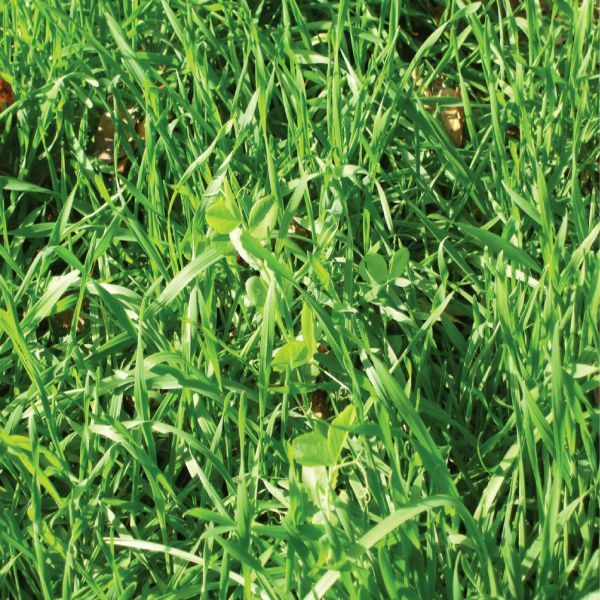 The special variety of winter peas found in Fall/Winter/Spring are a great compliment to the Fall Rye and offer quick germination, fast growth and highly nutritious forage. 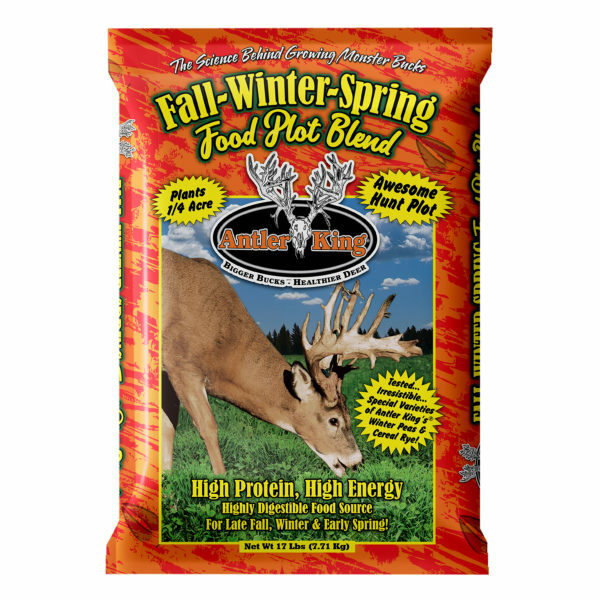 Fall/Winter/Spring also offers the ability to be mixed with other Antler King® brand seed mixes as it does well in this environment and can be mixed with Honey Hole or Slam Dunk adding even more early and late season attraction! NUTRITION: The Winter Peas in Fall/Winter Spring offer a 20-30% protein forage, are very cold tolerant and the entire plant (stem, leaves, pod) will be browsed and eaten by deer. The special variety of Fall Rye will offer a tender green food source with up to 15% protein and stay green all Winter long. 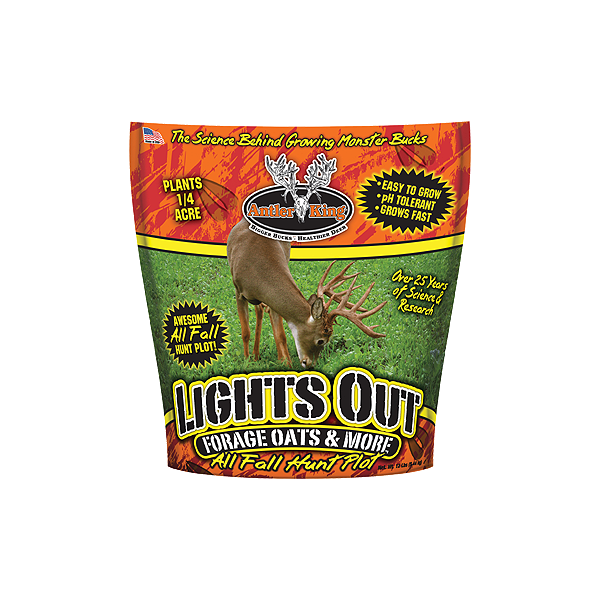 This combination of cool season food sources make Fall/Winter/Spring an extremely important Fall and Winter food plot mix for your deer and an extremely effective Fall and Winter hunt plot, as deer will congregate in this plot. Unique annual blend that grows fast and stays green all winter long. Contains Fall Rye and Winter Peas. Can be 6-8″ tall in 10 days. Will attract deer September thru January. Great source of protein in early Spring to enhance antler development. Recommended fertilizer is 19-19-19 or 15-15-15 at 300lbs. per acre. 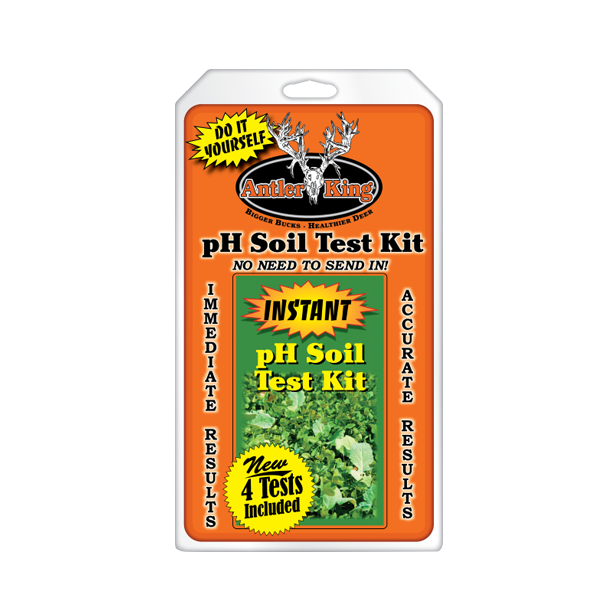 pH should be between 5.5-7.0.
planted the food plot in the timber in an area I cleared out, it was growing well for about 15 days then we got a rain it layed the plants all down and they did not come back. I had to replant the food plot with a different kind of seed. Was not impressed with the heartiness of the plants. Bryan, I will have a rep get a hold of you to help diagnose the problem for you. Fall/Winter/Spring was a success on my property. Planted in first week of September (grows so fast, could have planted later). Tilled the ground up and limed the area before seeding then lightly went over with ATV. What I love about this seed blend is that 30% of the bag is Winter Peas, which is more than I expected. Both seed types germinated super fast and deer have been hitting the plots. Even had a couple deer bed down right in it for a couple hours, then got up and started eating again. I’m looking forward to hunting over it, and seeing how long it stays green into the winter to keep the herd healthy.